Tracks is Australia's leading Surfing magazine with 40 years of credibility. Every month it takes you to the most exotic surfing locations, fills you in on what's happening on the pro-circuit and at your local beaches. Our demographic isn't dictated by numbers, isn't measured by age, or by one's propensity to wear scarves to the beach during summer. We're purely a mag for surfers. Full stop. There's a saying around the Tracks office that 'only Tracks could run a story like that' and it's true. Our stories come from the surfing heartland. They're topical, soul-searching, inspirational, and occasionally very stupid. 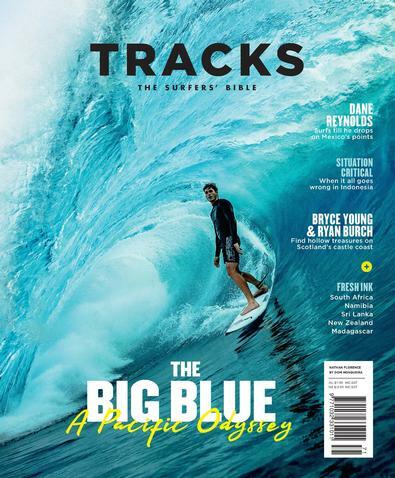 Tracks is the surfer's bible.A Tracks subscription comprises of 12 issues of Tracks and 1 Tracks Annual per year. 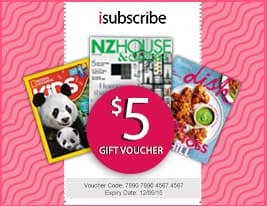 Be the first person to tell us what you think about Tracks (AU) and you'll save $5 on your next purchase!